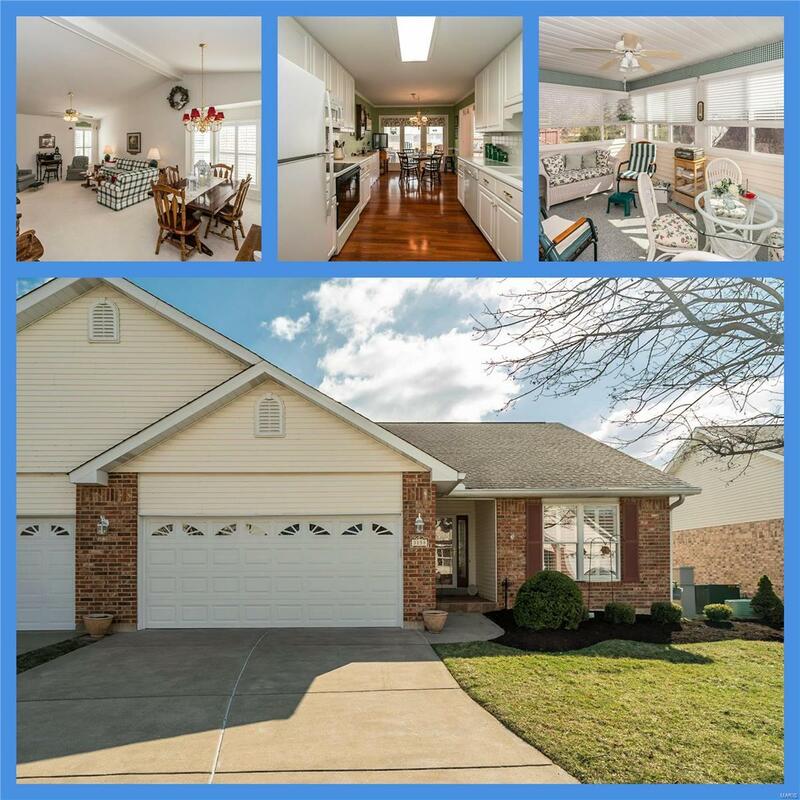 Open House canceled! 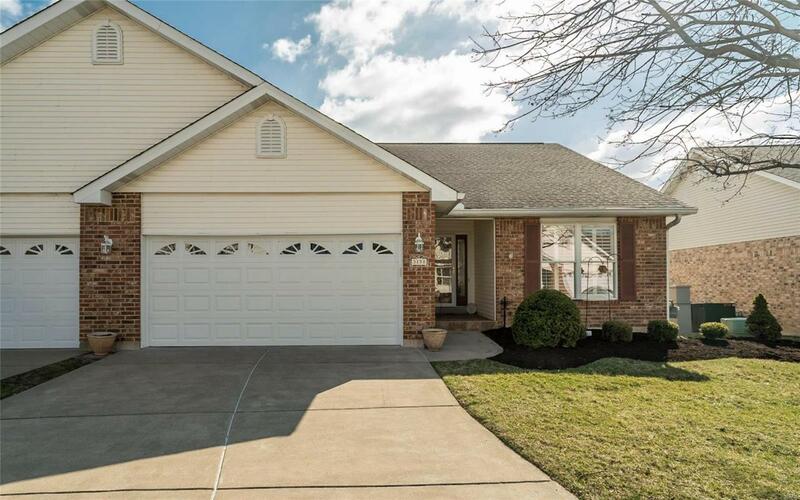 Villa in Country Bluff has it all-Beautifully maintained neighborhood-neat & tidy landscaping, brick/vinyl exterior & a two-car attached garage. Bright and open floor plan with a huge vaulted great room that leads to the kitchen and breakfast room. The fresh white kitchen features crown moulding, shiny laminate wood floors, newer appliances (fridge stays) & a triple pane French door that leads to the awesome three-season room. 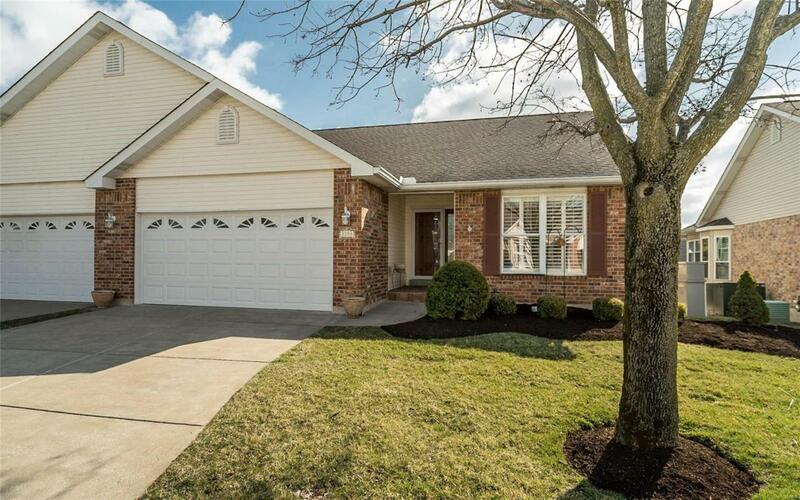 The main floor master has a walk-in closet & full bathroom w/ double sinks & a separate whirlpool bath & shower. Bedroom two is on the other side of the house right next to another full bath. Main floor laundry (washer/dryer stay)! Awesome finished lower level w/ a large family rm, wet bar, handy office space, the third bedroom, third full bath & still plenty of unfinished area for storage and a workshop! water heater '17 & AC '16. 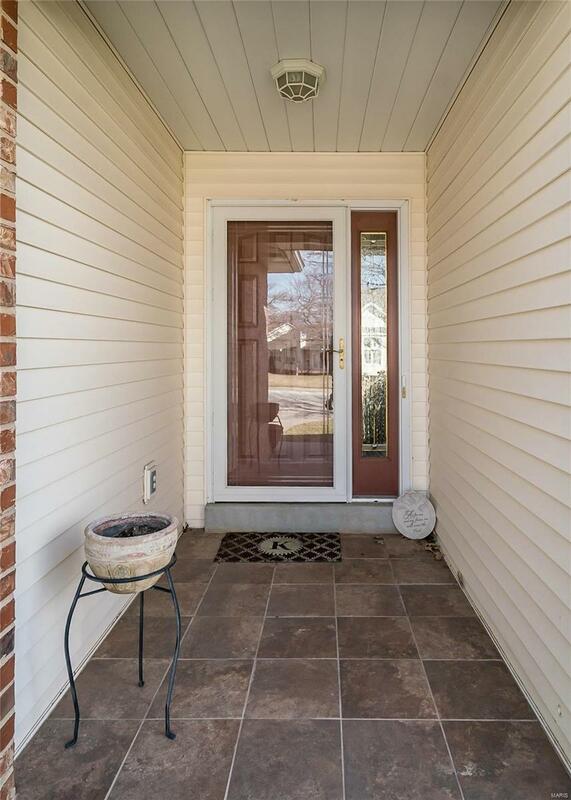 Head out French doors to the covered deck with a ceiling fan & steps down to the lovely yard w/ mature trees.